If you read this blog regularly, you will know that I LOVE researching a new city, finding places to eat gluten-free and shop for gluten-free food, and find off-the-beaten-path sights to see. As someone living with Celiac for more than 33 years, every single one of my vacations has been 100% gluten-free. I have traveled to more than 25 states, 18 countries, and 3 continents all while remaining completely gluten-free. When a reader approached me a few years to help them plan a gluten-free trip to Europe, I was beyond excited. Even though I wasn’t the one traveling, I was able to help a fellow celiac feel more comfortable about traveling the world. This gave me such a thrill and I was more than happy to help. 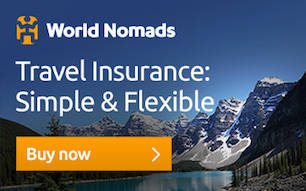 After my first official Gluten-Free Globetrotter™ Itinerary was built, I was hooked. As you know, gluten-free travel requires extra research before you leave home. I take the stress out of planning a gluten-free vacation and do that research for you! I absolutely love helping readers near and far plan their gluten-free vacations. I can live vicariously through my friends and clients as I put together resources for their amazing gluten-free vacation. Over the past three years, in addition to my personal gluten-free travels, I have created itineraries for readers traveling to Hawaii, Europe, Thailand, Scotland, Wales, and Amsterdam. I have helped a reader navigate a gluten-free road trip from the East Coast to the Midwest. I have also created many gluten-free travel plans for New York City, my hometown, which is by far the most popular itinerary for my readers! 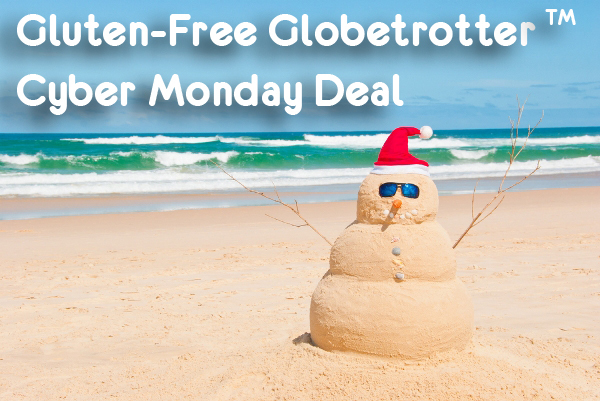 Today, in honor of Cyber Monday, I am excited to announce my very first Gluten-Free Globetrotter™ Itinerary Cyber Sale! If you sign up between now and Friday December 5th, I am reducing my basic itinerary services to only $49. This includes a consultation to discuss your travel style and preferences; a personalized itinerary for the city of your choice including restaurants, markets, and more; and a follow-up conversation if you have any questions about your Gluten-Free Globetrotter™ Itinerary. How does it work? Send me an email using the form below or email me at gfglobetrotter@gmail.com and let me know you are interested. Then, we will have a phone call or Skype consultation and go from there to plan your best gluten-free vacation ever! Don’t delay. This offer is only good until Friday December 5, 2014.